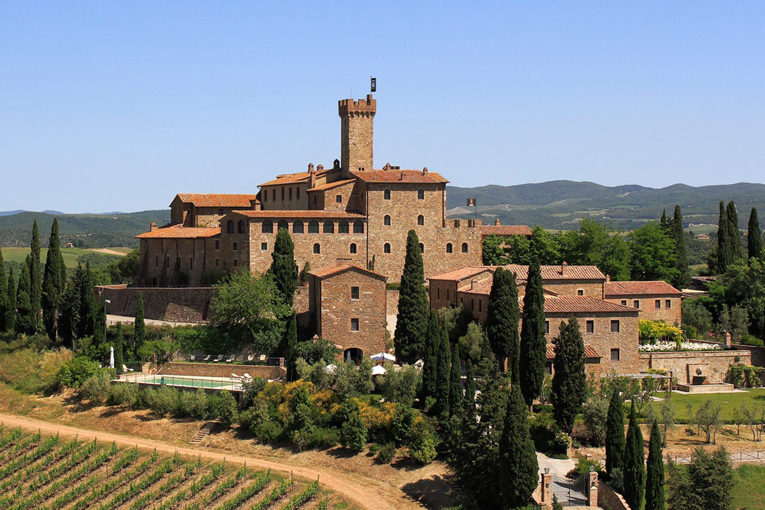 Castello Banfi is one of Italy’s most highly respected wineries, situated in the heart of Tuscany. 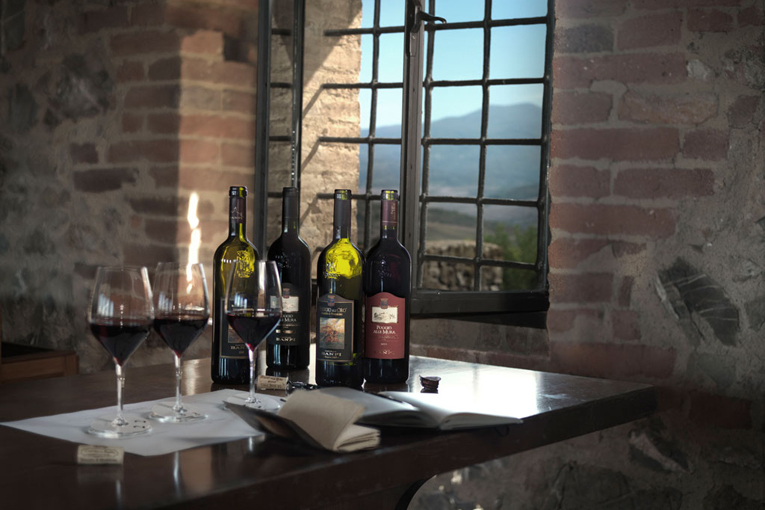 Wine was an integral part of Etruscan culture, and the Romans cultivated grape vines throughout their empire to savour the purity and the pleasures of wine. The Banfi legacy began in the 19th century with great-great aunt, Teodolinda Banfi, head of household for scholarly Pope Pius XI. 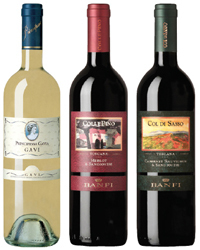 She taught that wine is one of nature’s most wholesome foods and cherished gifts. 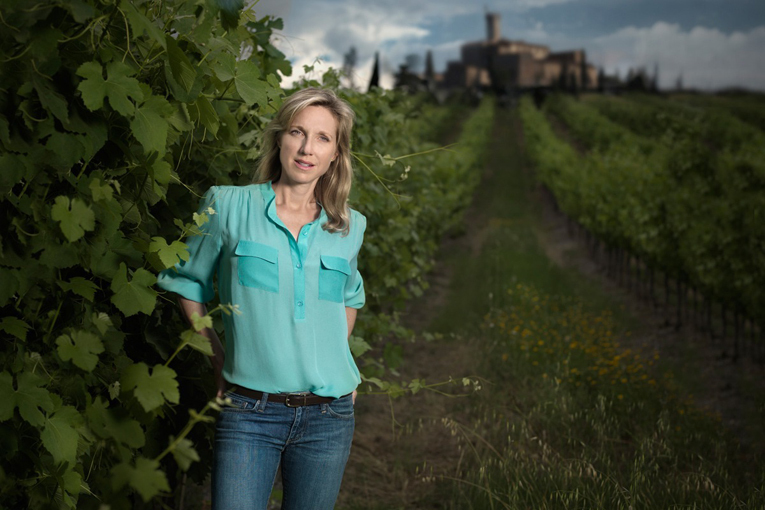 At Castello Banfi (known in the 13th century as Poggio alle Mura) a constellation of vineyards was fashioned, using pioneering technology rather than chemicals to preserve the true and sustainable nature of the vines. 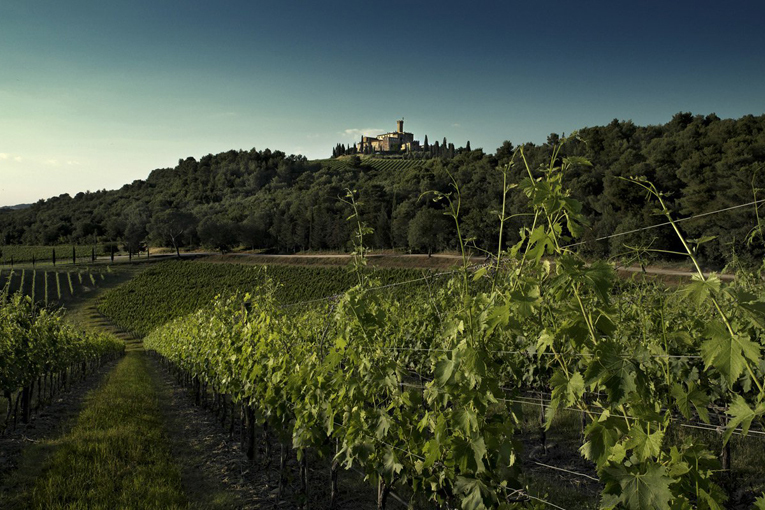 Commanding the high ground over forests, farm-land and vineyards rolling gently from surrounding mountains and hills down to the Maremma coast, this historic stronghold of the Republic of Siena has become the region’s foremost wine destination and Italy’s most honoured vineyard estate.